Make a refreshing addition to your coffee gear with the our BEAN French Coffee Maker and make delicious, flavourful coffee. We are offering increased CPA in exchange for extra exposure on your website. 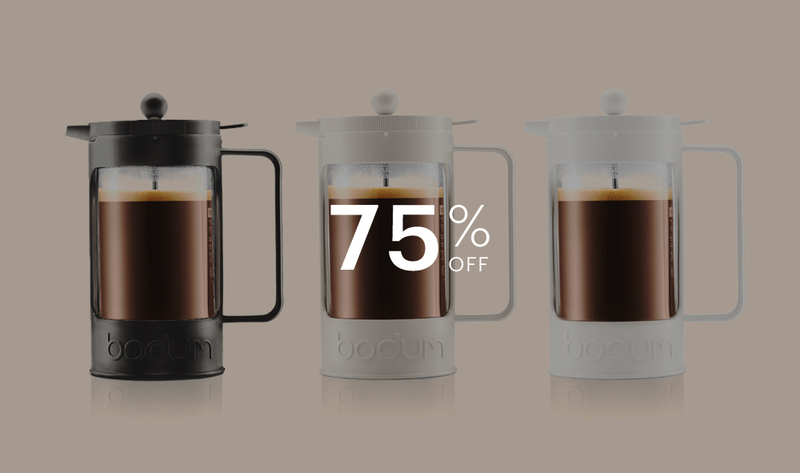 75% OFF on all our EUR web shops. Available in 3 colours (Black, White and Milky White). Campaign starts on Aug 2 and ends on Aug 19.